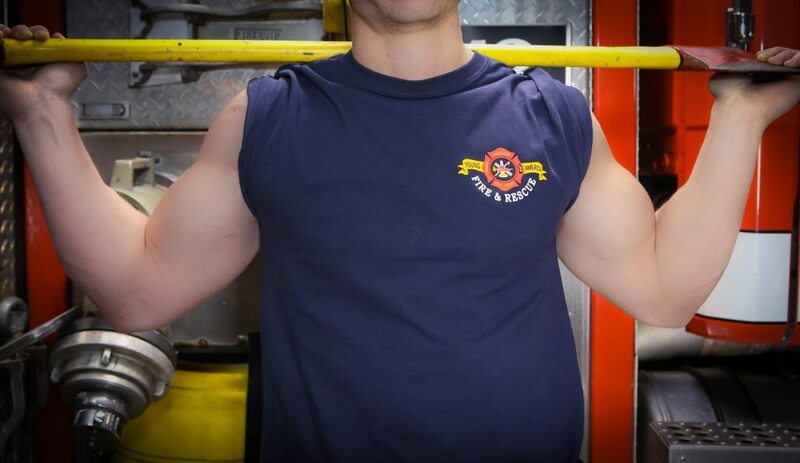 Hundreds of firefighters have already lost weight, gained strength and improved their lives with this program. Read hundreds more testimonials below! If you feel guilty about your eating and exercise habits, and if you’re afraid you can’t take the weight off for good, then this program is for you. I use to feel the same way. Then I became a doctor of exercise science and nutrition and learned the real science behind being healthy that is buried beneath all the fad diets and bad advice out there. These are sent straight to your email each week and are so simple to implement. Learn the truth about how to eat right and enjoy your life, No juice cleanses! Most take 20 minutes or less out of your day. There’s practical action steps so you can start to implement the information and get results immediately. They’re uniquely designed in a circuit so you’re getting both cardio and strength training in one calorie burning session. take however much time you decide. 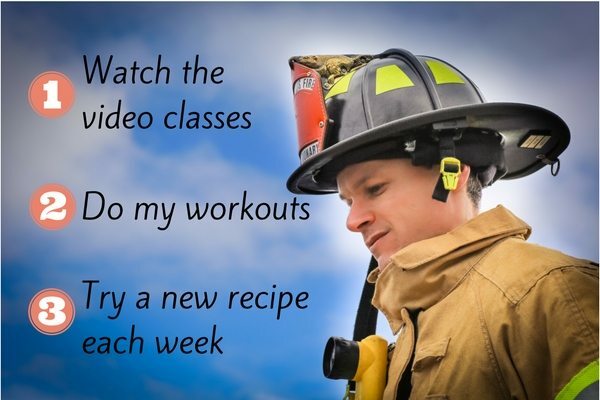 Choose from my top 12 firefighter-approved healthy meals for your new challenge recipe each week. 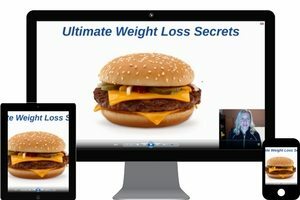 Me: unlike other weight loss products, you have access to an expert who can answer your questions throughout the 60 Days. You’ll have access to all this content forever! Come back to it whenever you need. 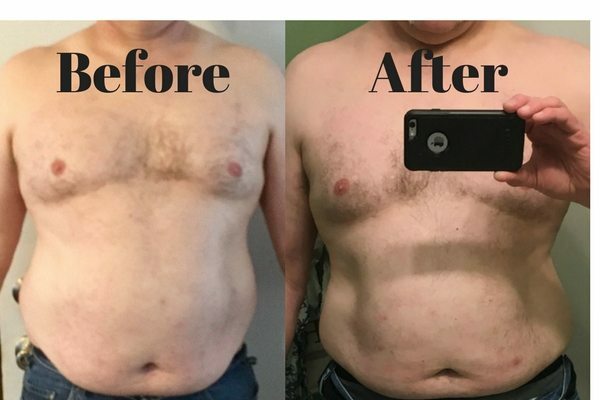 Join this challenge and expect for your pants to get looser, your peers to notice and your loved ones to appreciate how much better you look and feel. Or don’t and keep feeling guilty, keep letting your weight creep up, and keep trying more fad diets only to end up in the same spot or worse. The cost of your program is the best money I have ever spent!!! 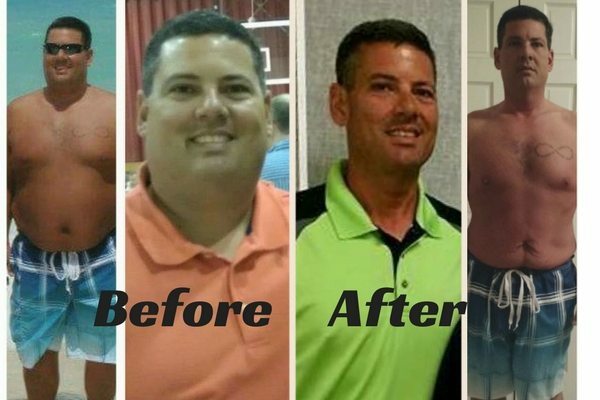 “I now feel more confident in achieving weight loss and a healthier lifestyle. 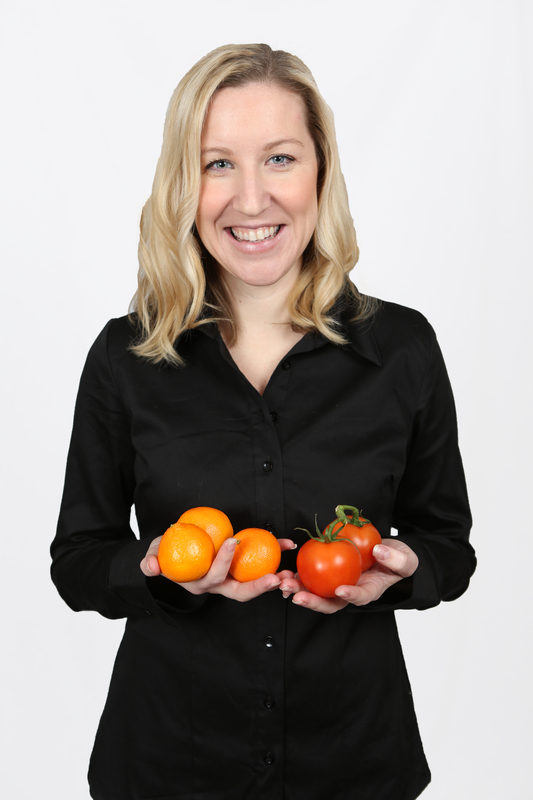 The advice to add healthier choices instead of eliminating current not so healthy foods was an aha moment for me. I have been on a no red meat, Atkins and MediFast diets. So I was hesitant that it would be nothing new or some crazy Tae Bo kick boxing thing. 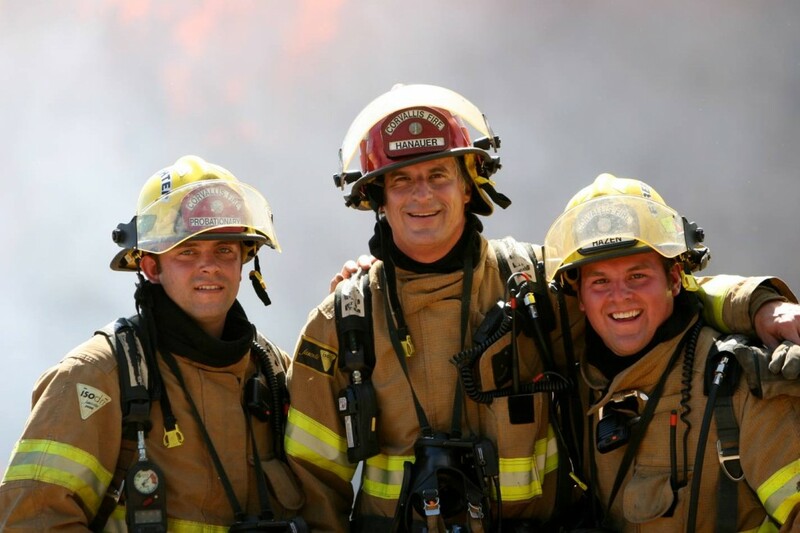 This one was unique in that you were able to apply first hand experience with firefighters and the culture. I feel those hesitations did not account for the dynamic science of modeen health and nutrition. I really liked how the program rolled out weekly. I looked forward to the emails and short video clips. 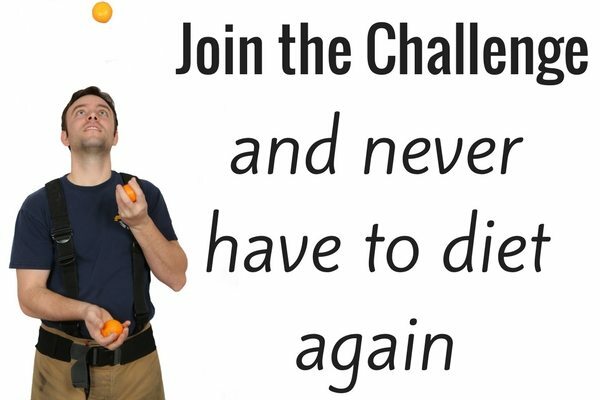 Why am I offering this challenge? When it comes to your health, are you sick of trying things and giving up because it’s not working and not enjoyable? 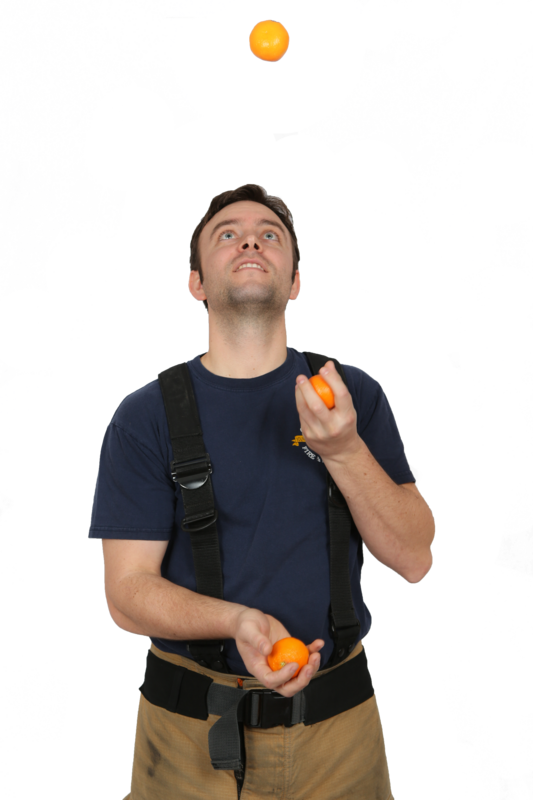 There’s so much info online to wade through, it’s hard to know what’s a fad and what’s really safe and effective. I understand. You went overboard. 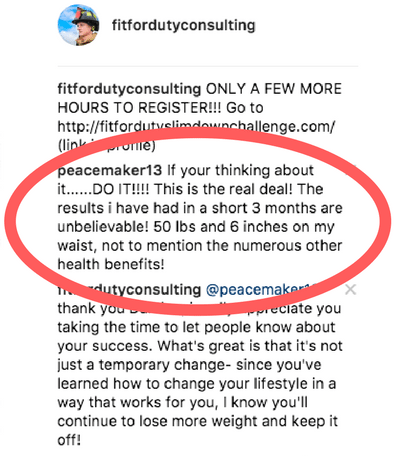 You tried to cut out way too many calories and only eat “health foods” that you don’t actually like. You didn’t want to count calories or points, or think so much about food anymore! You weren’t a failure, those lame diets were. NOBODY likes to be hungry or to feel like they’re depriving themselves and forcing food/exercise that they hate. You WILL be successful if you take the time to learn how you can create a healthy lifestyle in a way that works for you. 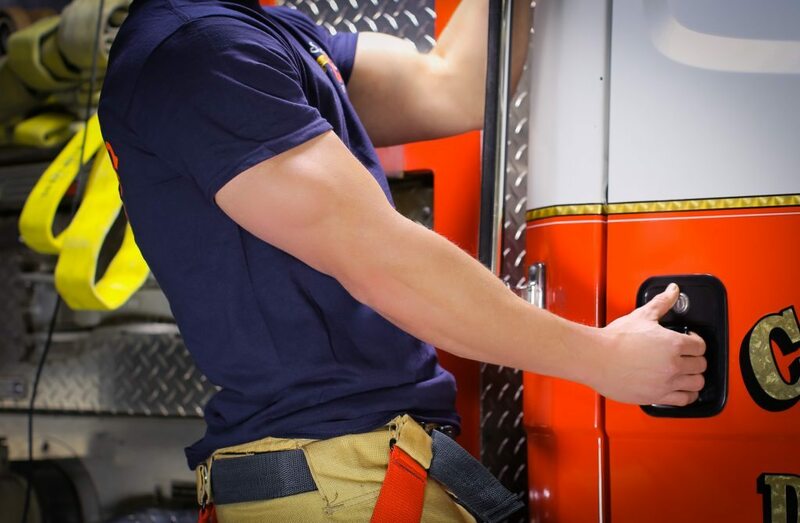 Like I said, the reason I know that all these things may be true for you is because I’ve been counseling firefighters and their wives on getting healthier for years. And actually, I use to have these feelings too. Yep, I too use to have some extra pounds I wanted gone, but I didn’t know how to lose weight while still enjoying my life. Instead I just felt guilty about what I ate and bad about myself because I wasn’t as fit as I wanted to be. Then I went to graduate school and became a doctor of exercise science and nutrition. I learned the science-based, non-bias, not-for-profit information about being healthy that is unfortunately buried beneath all the fad diets and misinformation out there. I quickly realized that what I’d learned about having a healthy weight is not common sense, yet once you know it, it’s so easy to implement. And so, my strategy became this: make SIMPLE changes to YOUR current lifestyle that have a BIG payoff. 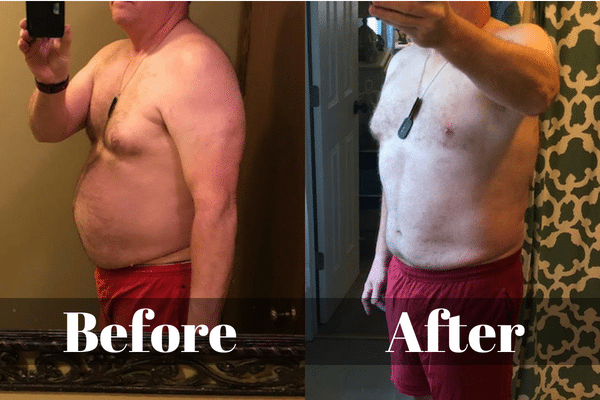 Ultimately – and what none of the fad diet pushers tell you – is that you have to permanently adopt the changes you make to lose weight. Otherwise, you’ll just gain the weight back. 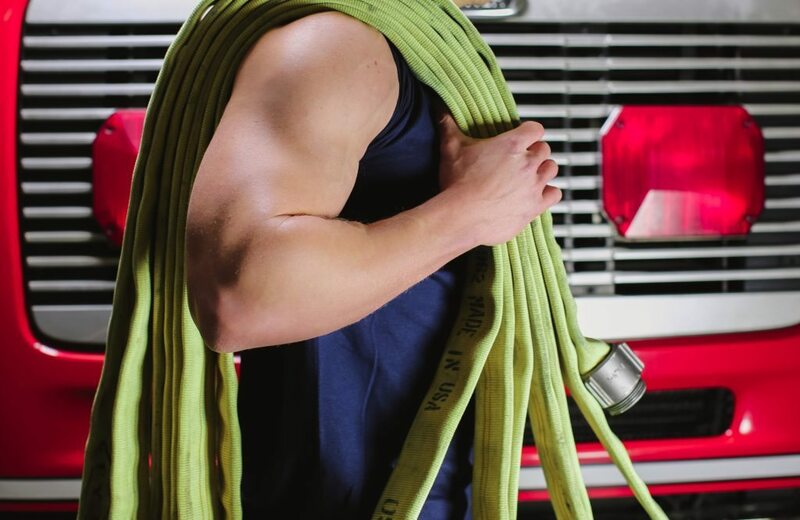 Now, after having served so many firefighters within my physical reach, I want to help firefighters and their spouses all over the world to lose weight and get healthier by offering my program online.